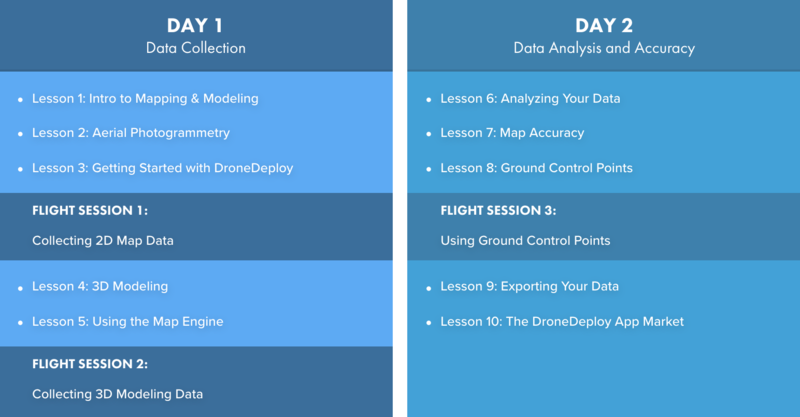 DARTdrones is honored to be working with the Aircraft Owners and Pilots Association, AOPA, to offer two advanced drone training workshops in 2019. Headquartered in Frederick, MD, AOPA works to protect and grow the privilege of general aviation by providing education, tools, services and more to their community of manned and unmanned pilots. In 2019, AOPA will be co-hosting DARTdrones’ Aerial Mapping and Modeling Workshop and Aerial Roof Inspections Workshop at their headquarters in Frederick, MD. Both advanced drone training workshops will be a combination of classroom training in AOPA’s You Can Fly Academy and outdoor, hands-on flight experience. Workshops will both be taught by a DARTdrones Flight Instructor. “We are excited to have DARTdrones bring their advanced drone courses to the AOPA membership”, said AOPA Sr. Director of UAS Programs, Kat Swain. “They have a great track record as a drone education provider and have received great feedback from their students”. Prerequisites: Since this is an advanced drone training workshop, DARTdrones requires all Aerial Mapping and Modeling students to have their FAA Part 107 Remote Pilot’s License as well as 5+ hours of flight time. Registration: Interested students can register online here, or call the DARTdrones team at 800-264-3907. The co-hosted Aerial Mapping and Modeling Workshop will coincide with AOPA’s 2019 Frederick Fly-In. Every year, AOPA hosts Fly-In events to provide pilots and aviation enthusiasts an opportunity to join educational workshops and seminars, connect with other pilots, explore an aviation atmosphere and more. This year’s Frederick Fly-In will take place at the Frederick Municipal Airport (KFDK). Event registration is open to the public and includes general admission, aircraft parking and savings on meals. Register online here. 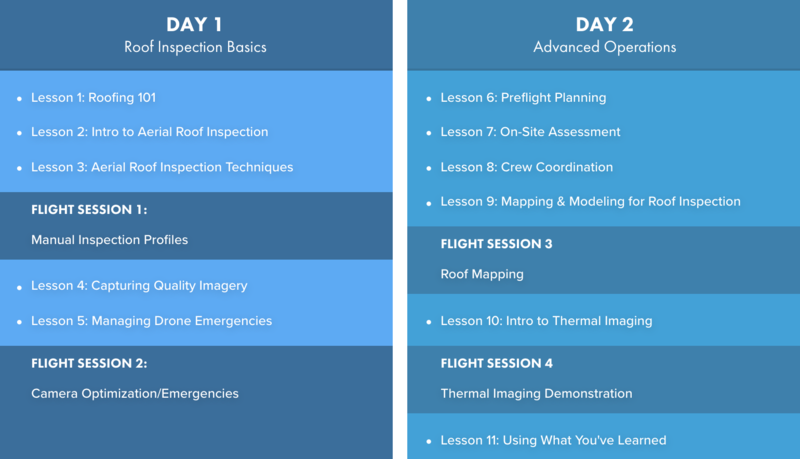 Prerequisites: Since this is an advanced drone training workshop, DARTdrones requires all Aerial Roof Inspections students to have their FAA Part 107 Remote Pilot’s License as well as 5+ hours of flight time.